It is a common way to process different image features independently in order to measure similarity between images. Color and texture are the common ones to use for searching in natural images. 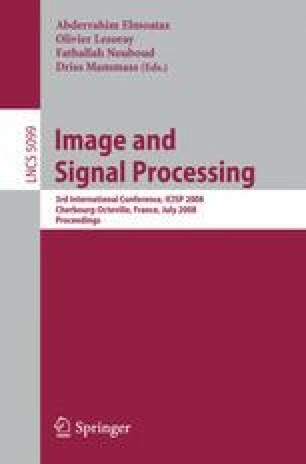 In  a technique to combine color and texture features based on a particular query-image in order to improve retrieval efficiency was proposed. Weighted linear combination of color and texture metrics was considered as a mixed-metrics. In this paper the mixed-metrics with different weights are compared to pure color and texture metrics and widely used CombMNZ data fusion algorithm. Experiments show that proposed metrics outperform CombMNZ method in some cases, and have close results in others. This work was partially supported by RFBR (grant 07-07-00268a).